No. 20 Robert Morris’ run for an ACHA championship came up one goal short in the first round, as the Colonials fell 4-3 to the No. 13 UNLV Rebels in the first round of the ACHA Tournament Thursday at Comerica Center in Frisco, Texas. With the game tied 2-2 early in the second period, Joseph Kaszupski scored two goals in a row for UNLV to take a 4-2 lead they did not relinquish. Andrew Hachmeister got his second goal of the game — a power play goal in the third period — to bring Robert Morris within a goal, but the comeback fell short. Hachmeister opened the scoring just over 11 minutes into the first period to give the Colonials a 1-0 lead. Kaszupski answered to tie the game for the Rebels before John Moeller added a goal early in the second period to give UNLV their first lead of the game. 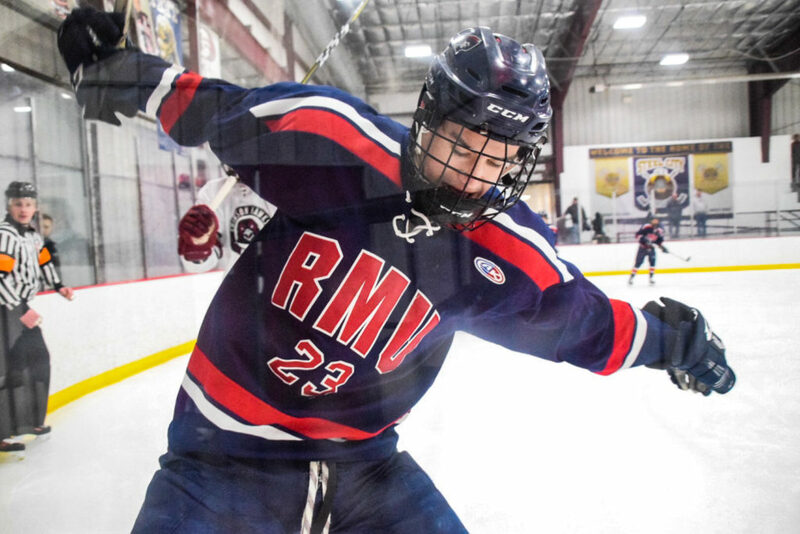 David Roebuck tied the game for Robert Morris, 2-2, on a shorthanded goal in the second period before Kaszupski added two goals to complete the hat trick and carry the Rebels into the second round of the tournament. They will face No. 4 Ohio at 10 a.m. Friday at Comerica Center.